Boat-tailed Grackles are medium-to-large sized songbirds named for the long keel-shaped tail sported by male birds. Males (like the bird illustrated here) are shiny black, while females have a duller, brownish plumage. You can customize this gift! 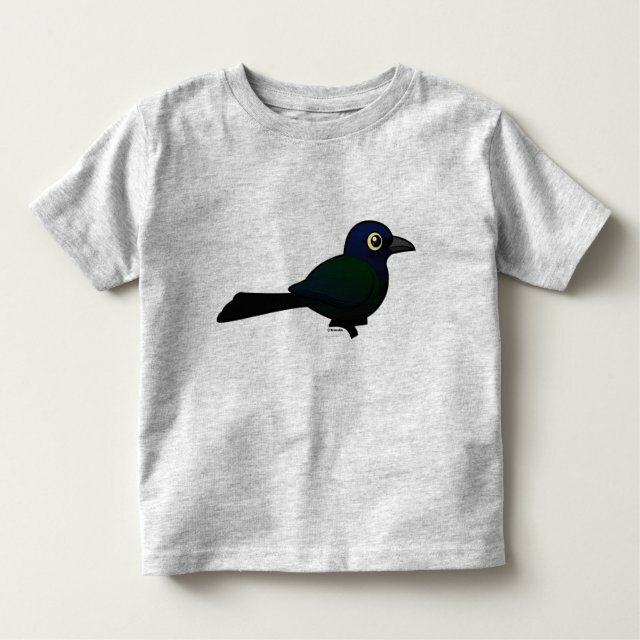 Move the grackle around, change the background color or style, add text or images -- make it your own!